We left off on the last update just before Halloween. 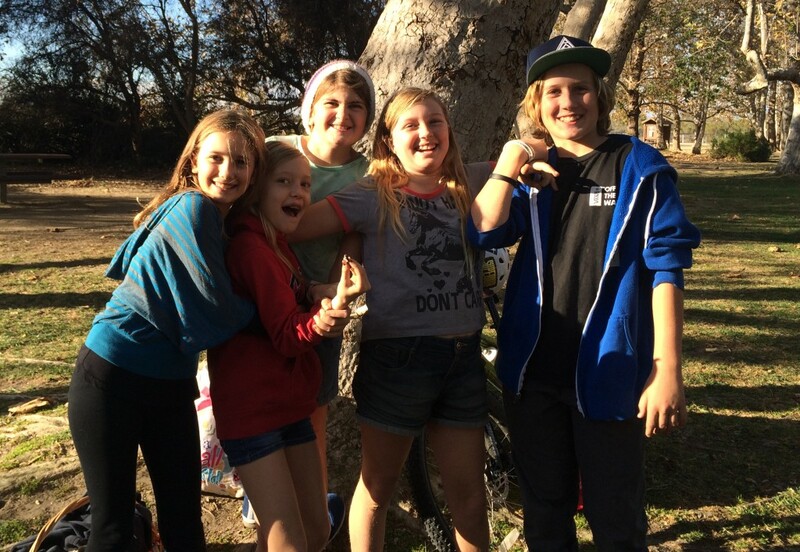 It was a lot of fun, the kids were looking forward to it a lot, and they came back with a lot of candy. 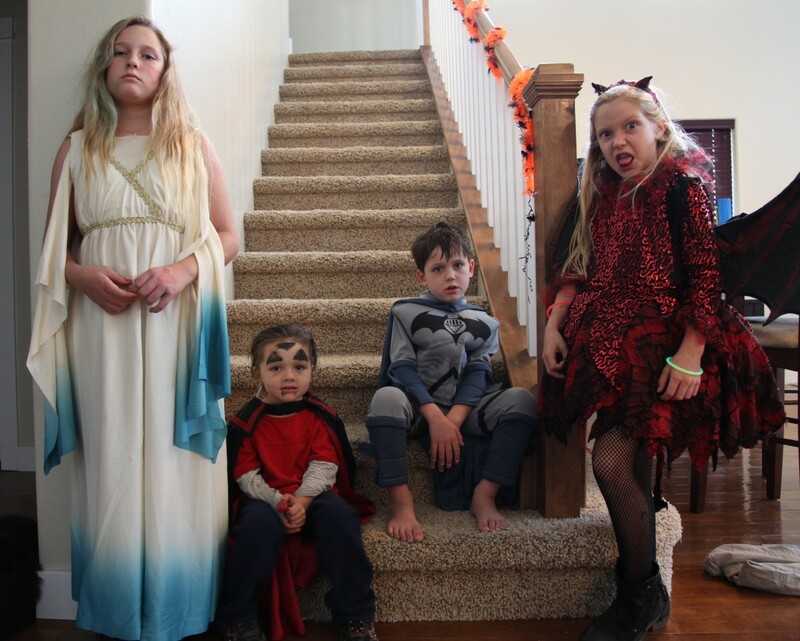 I don't know why they didn't want to smile for me in the picture, maybe because they just wanted to be set free to go get that candy. In the season opener for season 9 of Doctor Who, it shows a kid stuck in a hand-mine field, where there are hands sticking up out of the ground and they slowly turn to the kid and will pull him down under the ground if he gets too close to them. I thought that would make a pretty cool Halloween display so I worked on it for a few weekends to get it ready. I used an Arduino Mega controller to read the inputs from five passive infrared receivers (think motion detectors) in a fan array that tells the controller where motion is happening. The hands are on servos and they turn towards the motion. I prototyped the whole thing in Visual Studio using C# so I could debug it, then I ported the code to C++ on the Arduino. I divided the hands up into zones so different groups of hands can track different groups of kids. It was a lot of fun, but to do it right you need a web cam feeding video to a PC so you can run motion detection and lock a hand onto a specific kid and follow them. I was thinking of messing around with it some more, but for next year, I think I'm going to build a claw machine that the kids at the door can use to grab their candy with. 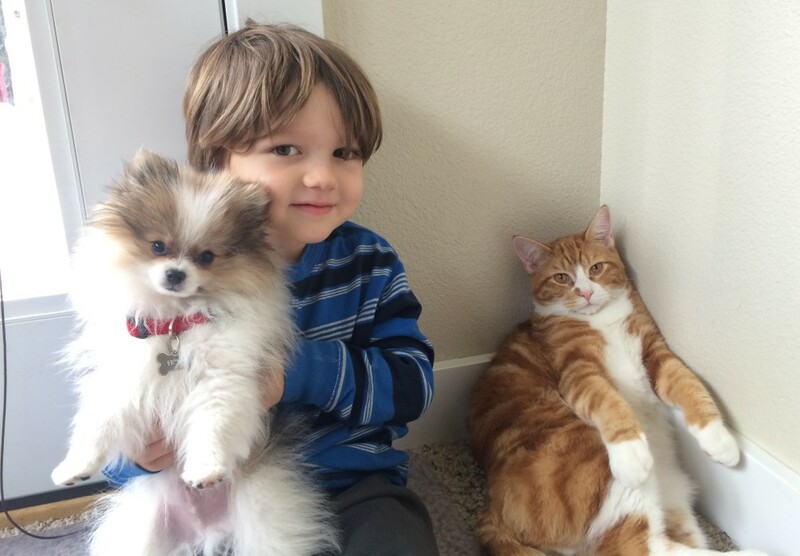 Miles hanging out with Hero and Pumpkin. 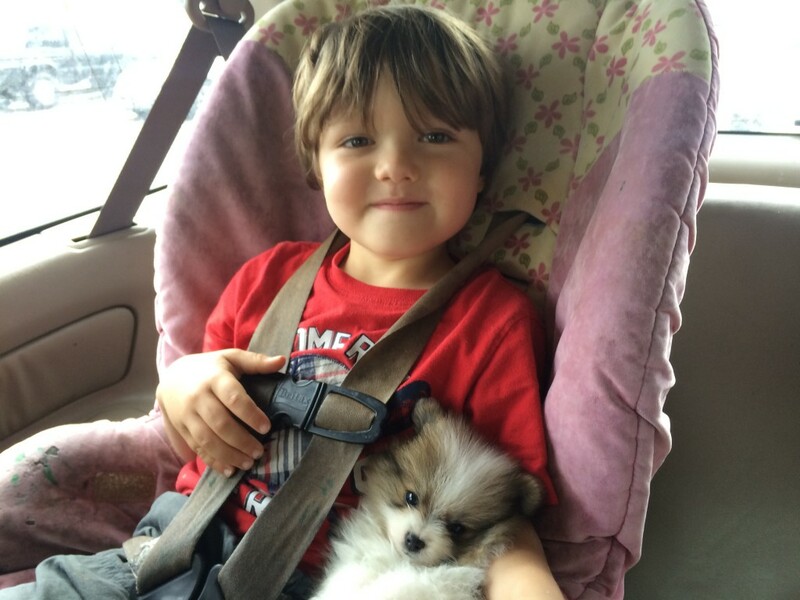 Even though Hero has gotten bigger, he's still pretty small. Pumpkin, on the other hand, has been on a diet for a month and is still one fat cat. 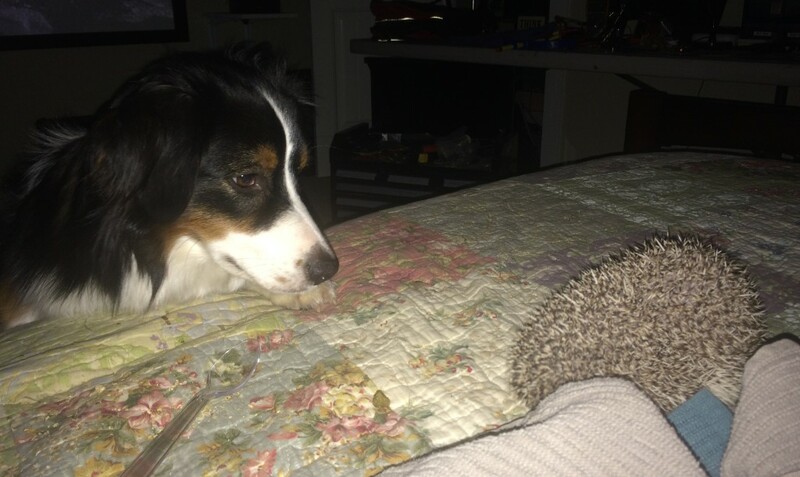 Buddy is checking out Amelie's hedgehog. They aren't that great for pets, since they're all prickly. 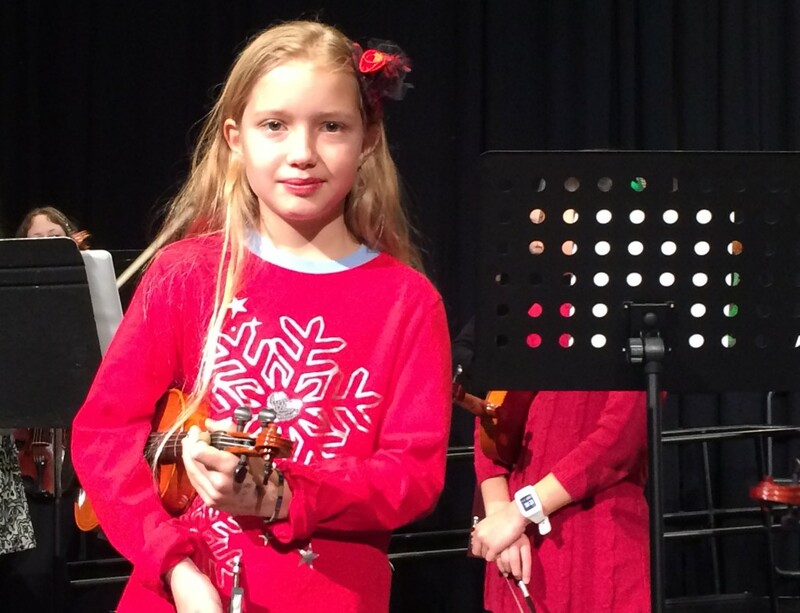 Mia has been continuing with her violin lessons, and she's able to play a lot of different songs now. 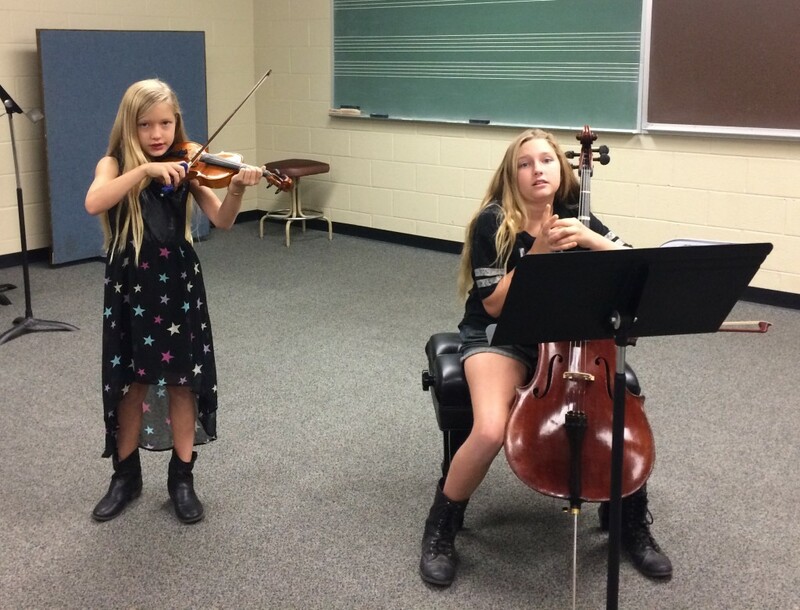 Amelie and Mia played a duet together, it sounded great. 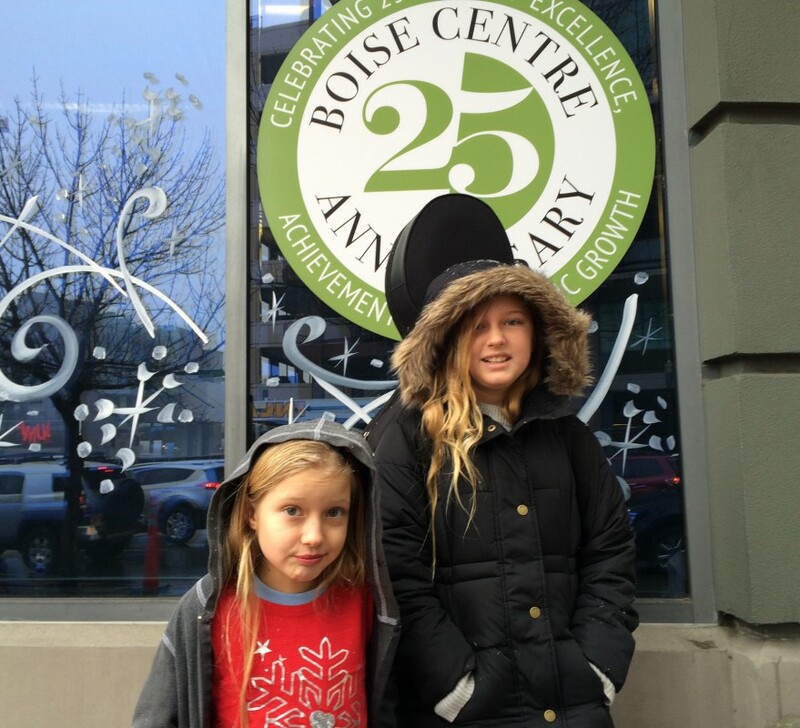 Amelie and Mia in downtown Boise. 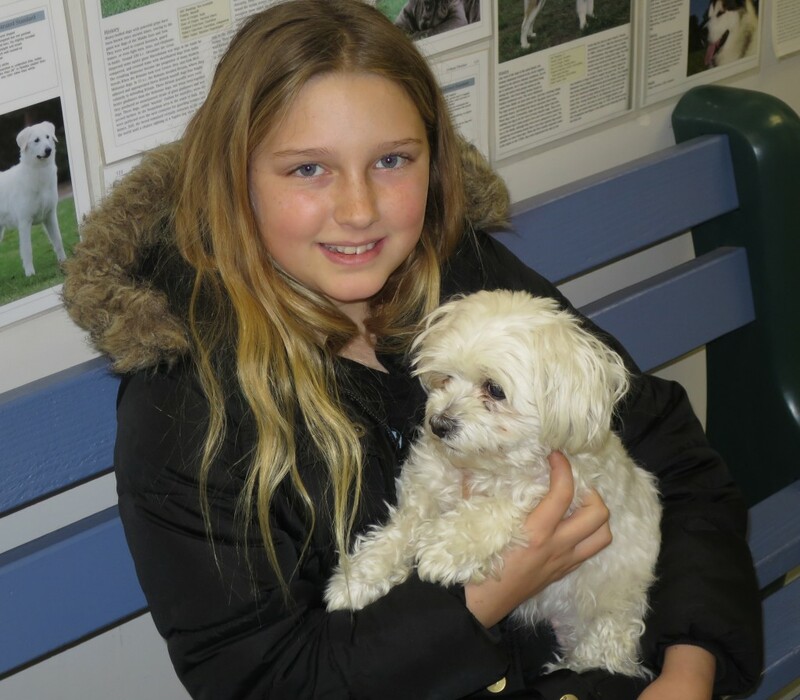 Amelie has been going to the Boise Humane Society to visit with the animals there. This dog was already adopted, but hadn't been picked up yet. 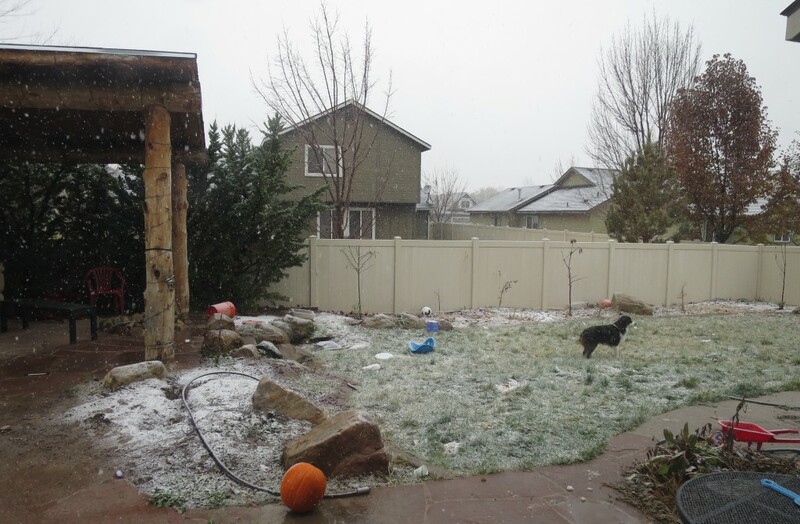 We got our first snow of the winter season, and even though snow is not that unusual, it's the first time we've seen it in our backyard. I have to say, I was a bit freaked out by it. What horrible life decisions have led us to this? 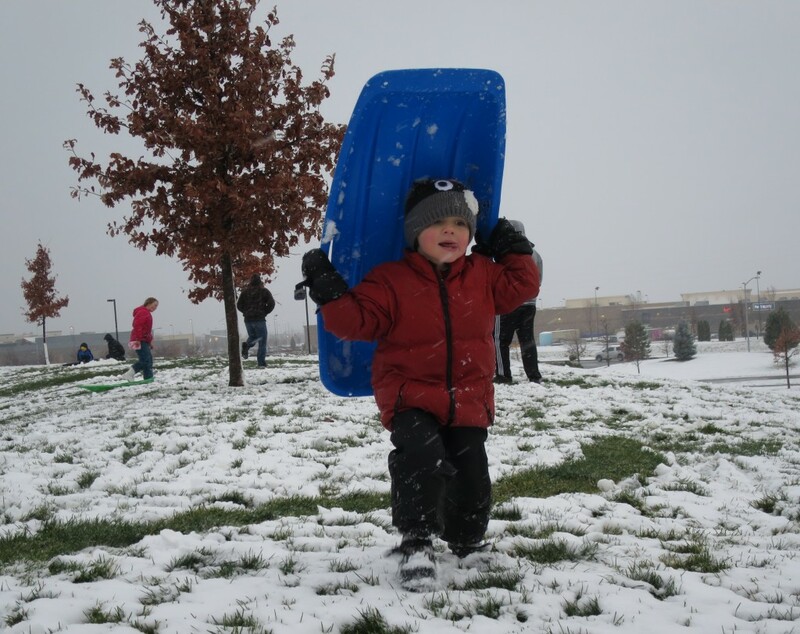 The kids went sledding in the park by our house, but there really wasn't enough snow to get going fast. 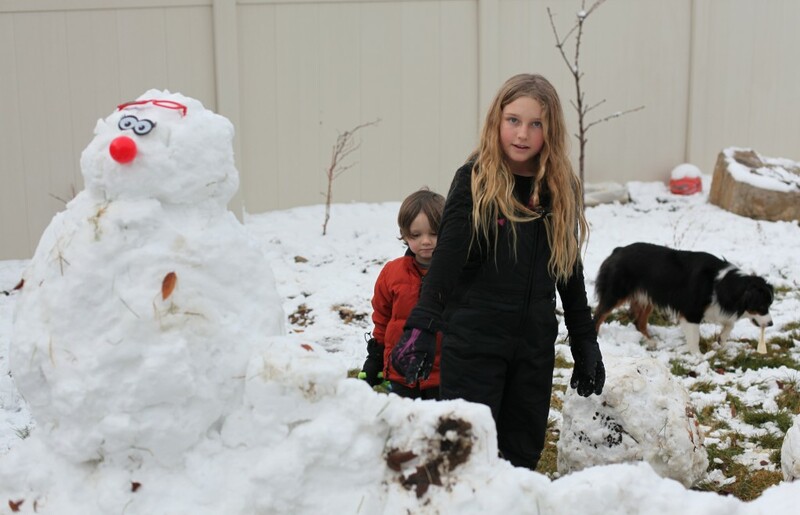 Amelie and Mia built up this pile of snow that Miles really wanted to destroy, for some reason. I pointed my camera out the window to watch him go at it. Towards the end of the video he's head-butting it, it's pretty funny (around 1:18 into the video). 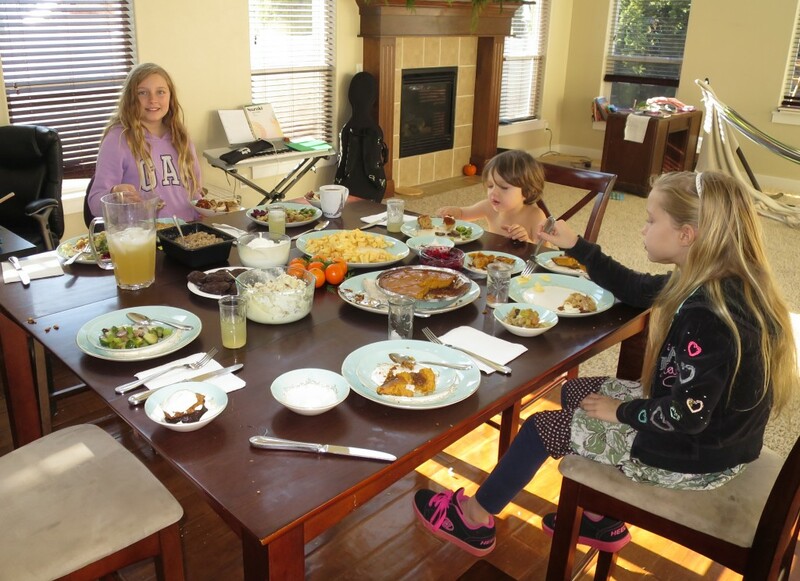 Thanksgiving was pretty cool, we had some snow on the ground for it and Naomi made an awesome spread for us. Naomi tool a trip out to Southern California for a week and took the kids to the regular Friday park day gathering with our home-school friends, it was a lot of fun for everybody. 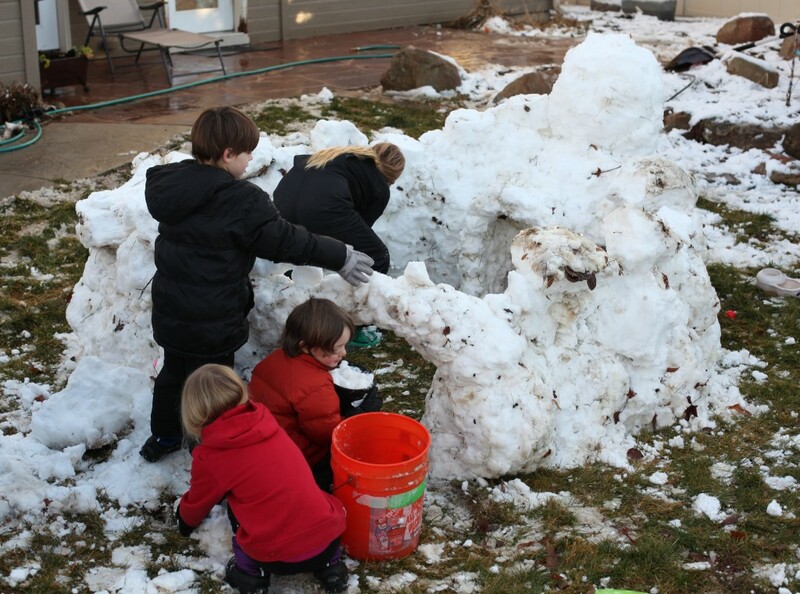 Meanwhile, back in Idaho, more snow fell so the kids started on a snow fort in the backyard. The snowwoman was protecting the fort. 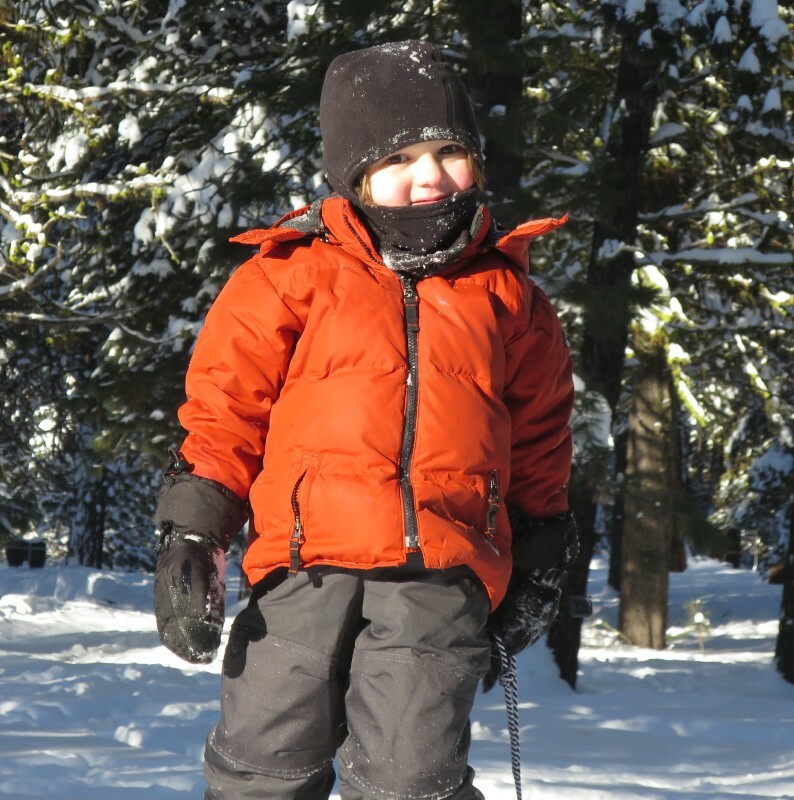 Miles is well protected against the cold. 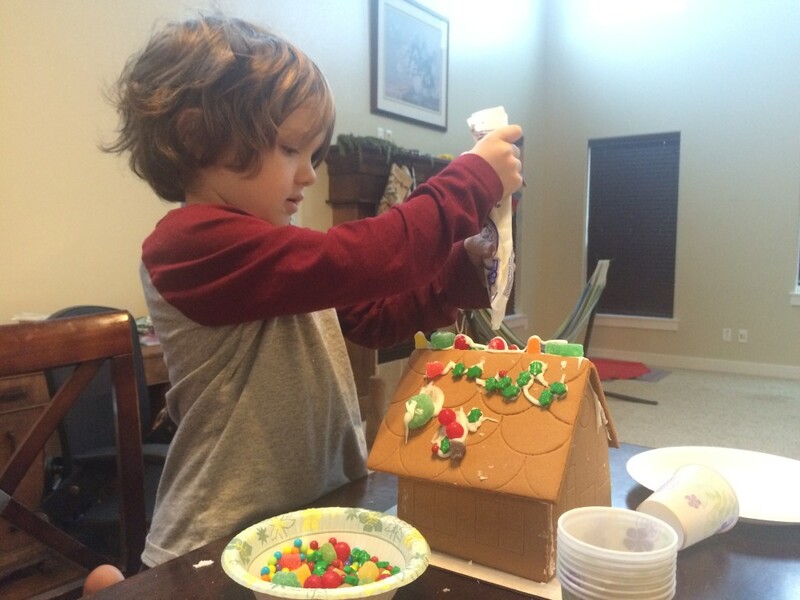 Once the fort was done, it was back inside to build gingerbread houses. 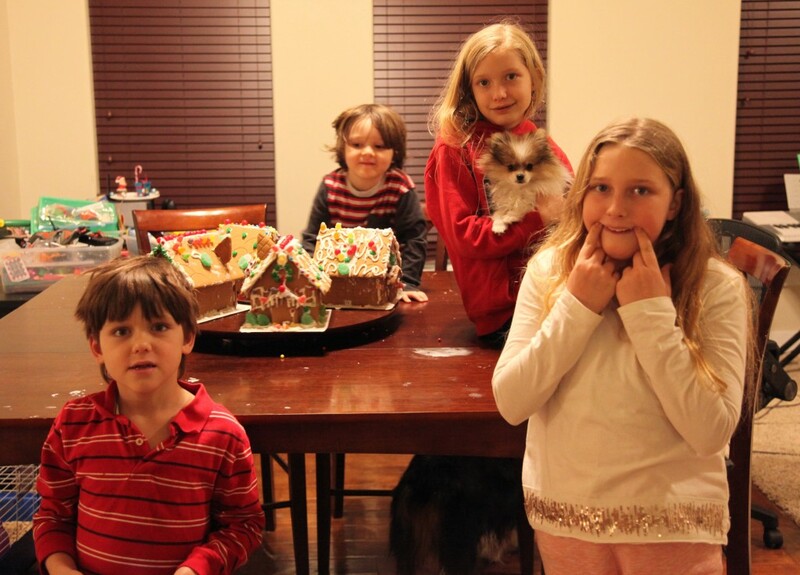 Now that the gingerbread houses are finished, let's see those smiles! 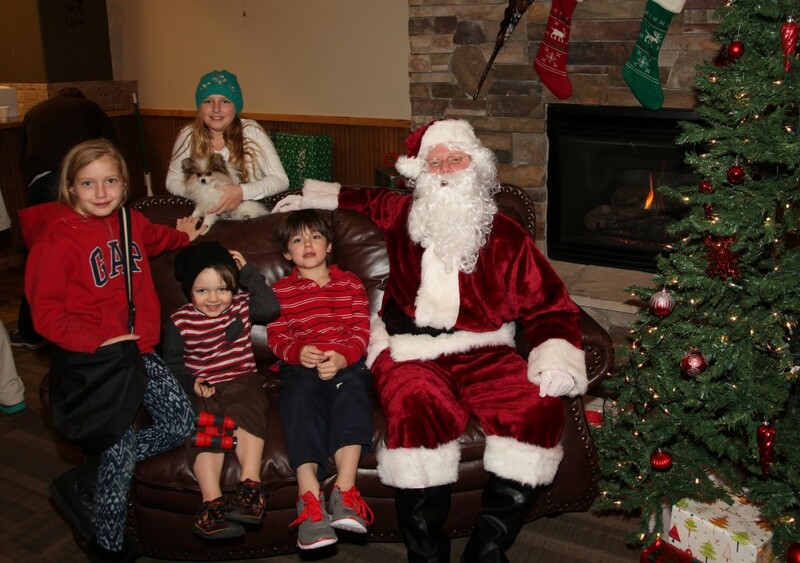 The neighborhood association had a night out with Santa that we attended. 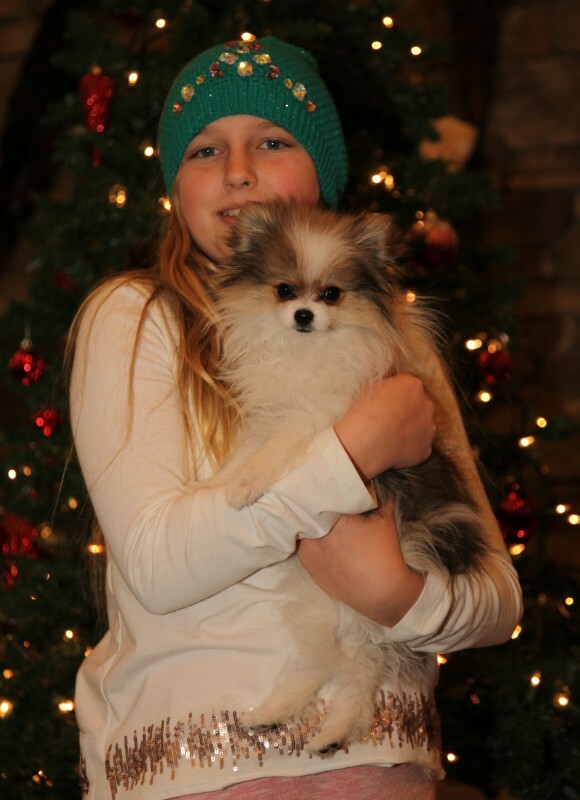 Amelie and Hero hanging out for Christmas. We drove up to Bogus Basin to go tubing, but the snow was coming down so hard that Mia and myself hid out in the car (with the engine running for heat) while Naomi and the other kids braved the snow to get some tubing in. The shopping center behind our house put in a skating rink for winter and the kids were doing pretty well at it. Even Miles was making it work for him with his kind of rapid stepping he does, check it out. 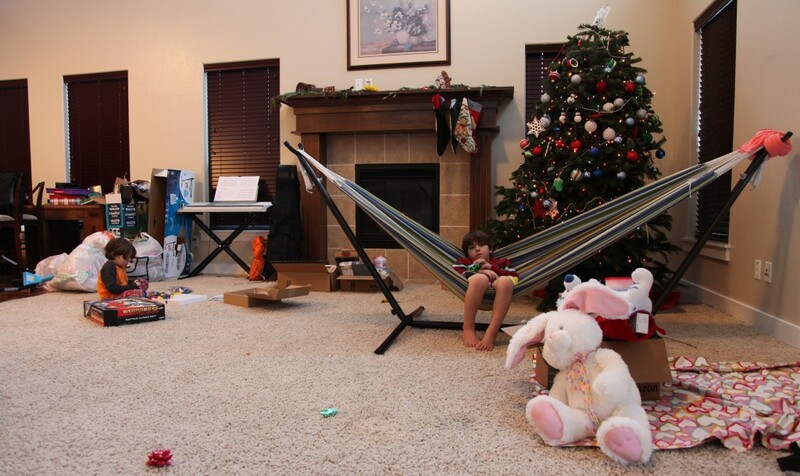 The kids had a great Christmas, waking us up at 5am to open presents, it was brutal. This is the aftermath, nothing but wrapper. 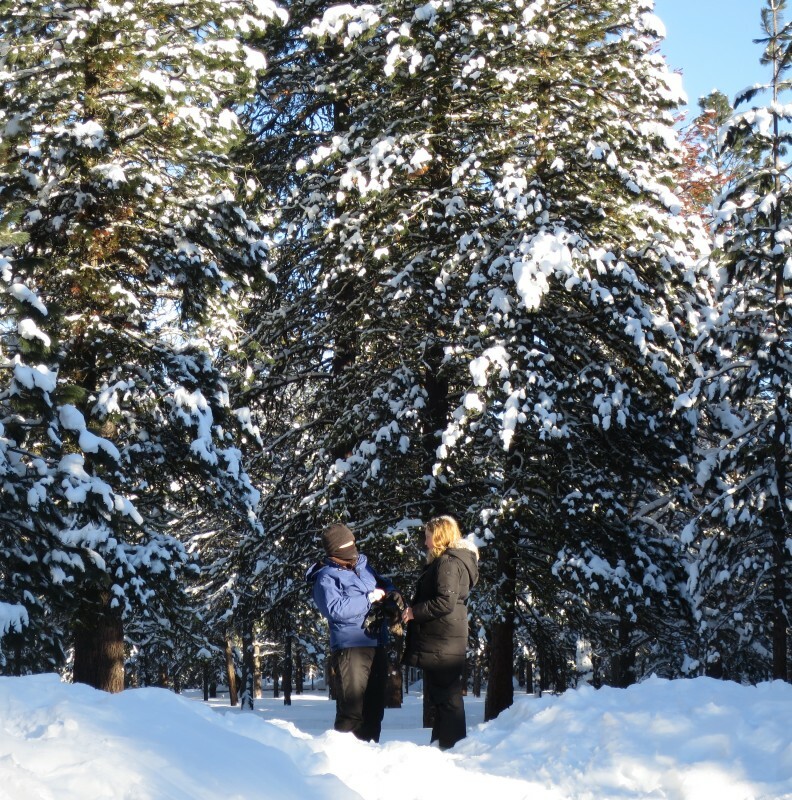 We drove a couple hours north to McCall and there was a ton of snow. It was pretty hard to deal with it all, in fact. We actually skidded coming down a slight incline and hit the berm of snow at the side of the row and got stuck. People passing by were very kind, though, and a guy in a Jeep pulled us back onto the road in two minutes. 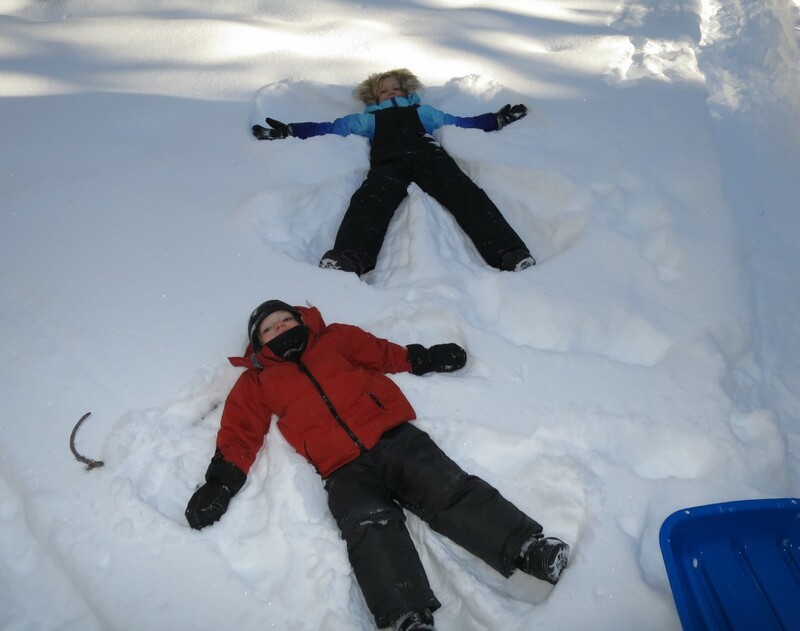 The kids made snow angels in the snow, it worked pretty well in fact. 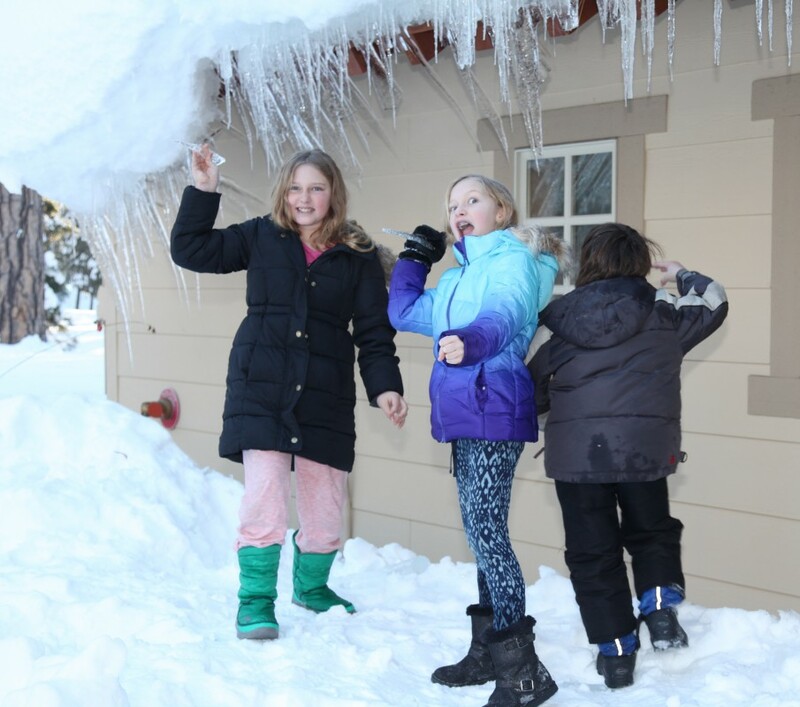 We were all fascinated with icicles, they're a lot of fun to break off and play with. You can see the snow is almost to the roof of the visitor center at Ponderosa State Park in McCall. 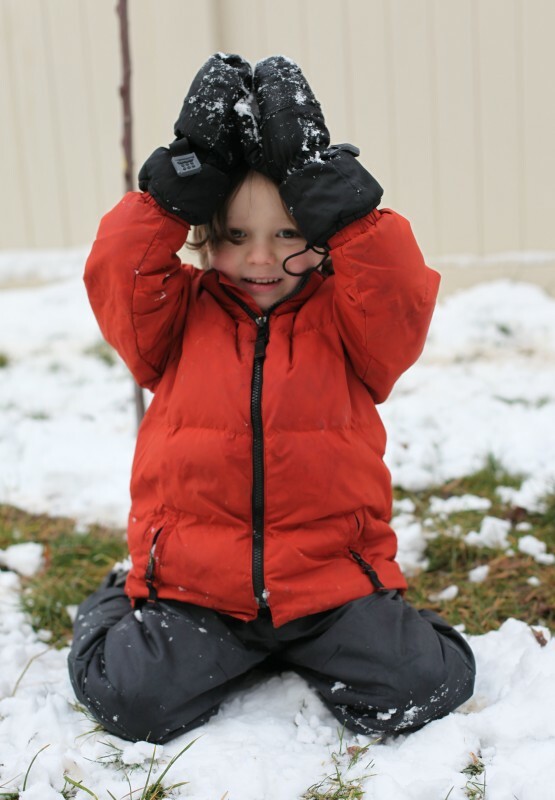 Miles is all bundled up against the cold. It's so cold, and it never stops being cold. Any time you go outside, day or night, it's just cold. It's hard to get used to after growing up in SoCal. 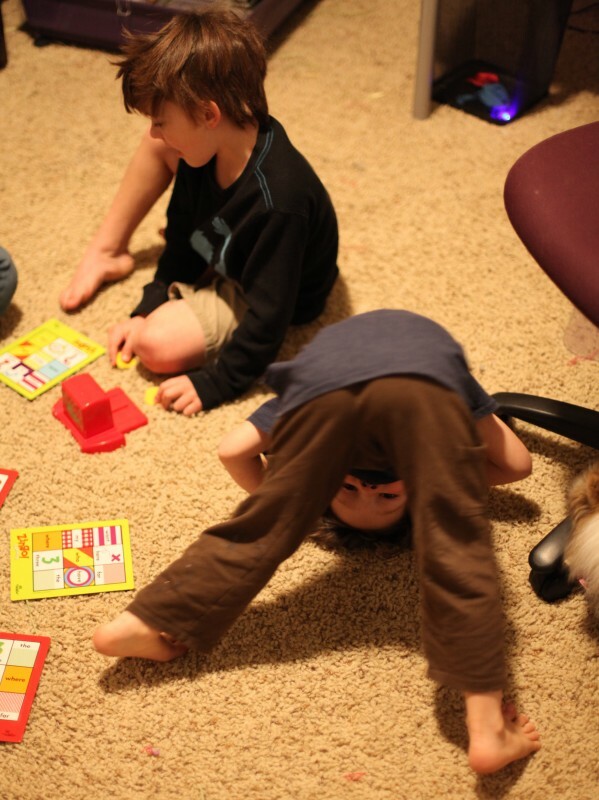 For New Year's Eve, we played board games and hung out together. I asked Miles to look at me for the picture and this is how he responded. Amelie and Mia all ready to party to bring in the New Year. 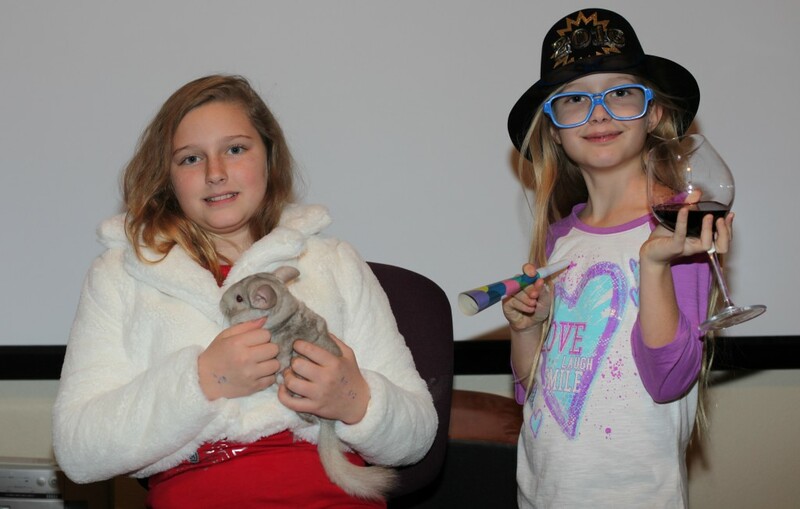 Amelie is holding one of our chinchillas, we recently bought a pair of them that are siblings. They're really tame, we bought them off Craigslist and the lady we bought them from did an amazing job of training them and getting them used to being held. They are incredibly soft, too, and don't bite, they're pretty cool pets. Sort of an anti-hedgehog. Mia is drinking vegetable juice, btw. Until next time, have a cute and cuddly New Year!